The latest smartphones continue to get bigger and bigger but not everyone wants to carry around a behemoth in their pocket. This seems to be the idea behind the new HTC One mini, a compact version of the flagship HTC One. 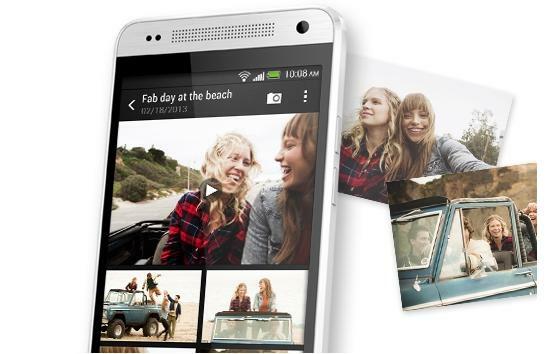 The HTC One mini is essentially a smaller version of HTC's original One, which launched in Australia earlier this year. As you can see from the images above it looks almost identical to its bigger counterpart but boasts smaller dimensions. It has the same aluminium design, the same dual, front-facing speakers, and the same UltraPixel camera on the back. The One mini measures 9.4mm thick but is smaller in both width and height than the One. The HTC One mini has an almost identical design to its larger counterpart. HTC was keen to state that the One mini comes with "no compromises" when compared to the original One, but this really isn't the case. The smaller 4.3in LCD3 screen with 720p resolution is a given due to the cut down size, but the One mini also has downgraded specifications. It runs a dual-core 1.4GHz Snapdragon 400 processor compared to the One's quad-core 1.7GHz Snapdragon 600 CPU, has 1GB of RAM compared to 2GB, and comes with 16GB of internal memory instead of the One's 32GB. The One Mini also misses out on NFC connectivity, lacks the Infrared port of its bigger brother, and the camera doesn't have optical image stabilisation (OIS). While none of these missing features are going to be a deal breaker for most consumers, it's hardly a case of no compromises. More like some compromises. The One mini has a 4.3in LCD3 screen with a 720p display resolution. 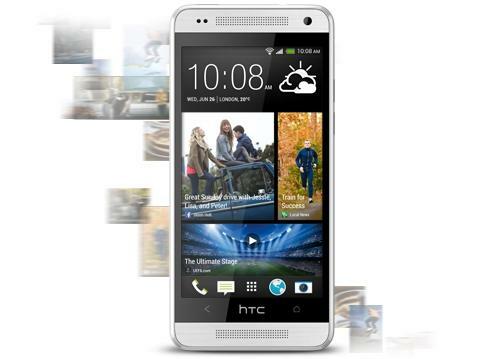 What you are likely to get with the HTC One mini is a very similar user experience to the One. It runs the same Android software (4.2 Jelly Bean), the same HTC Sense 5 user interface and of course, the same BlinkFeed home screen feature that debuted on the One. If you're not familiar with BlinkFeed, it looks like a cross between Windows Phone 8 and the Flipboard media aggregation app. The alternative home screen pulls in content from a variety of pre-selected sources including your social media accounts. The One mini runs HTC's latest Sense 5 user interface. Although it lacks optical image stabilisation, the HTC One mini's rear camera is identical to the original One otherwise. The 4-megapixel sensor uses enlarged pixels that the company says can absorb up to three times more light than those inside "most leading 13-megapixel phone cameras." The HTC One mini has a non-removable 1800mAh battery. Like it's bigger brother, it will be 4G compatible in Australia on the 1800MHz network band. The "glacial silver" HTC One Mini will be available through Telstra from Tuesday 17 September, while Vodafone will exclusively sell the "stealth black" variant from early October. 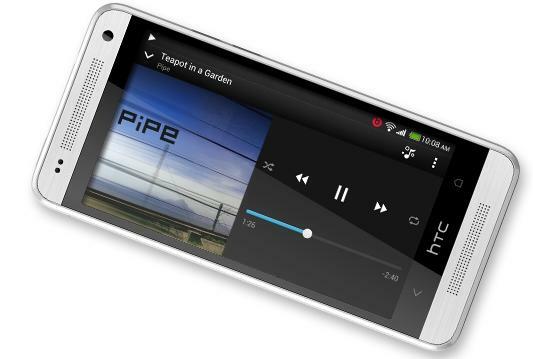 A promotional video of the HTC One mini can be viewed below.